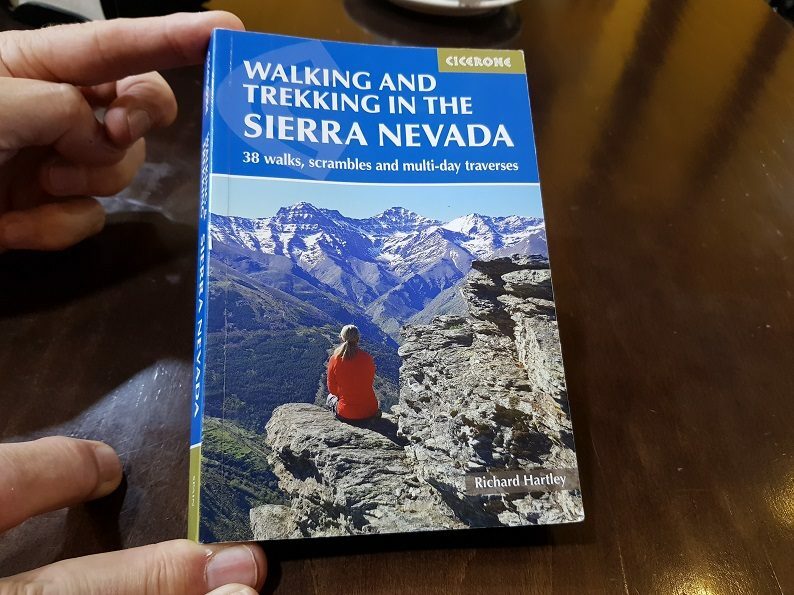 Walking & Trekking the Sierra Nevada was launched this month by Cicerone Press. 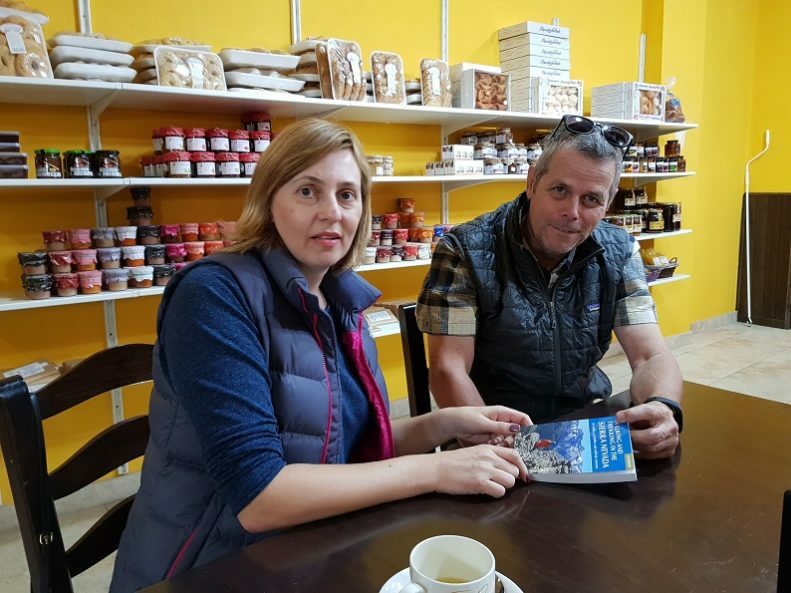 I was thrilled to meet Richard Hartley the author in Lanjaron earlier this month to hear about this new hiking book. 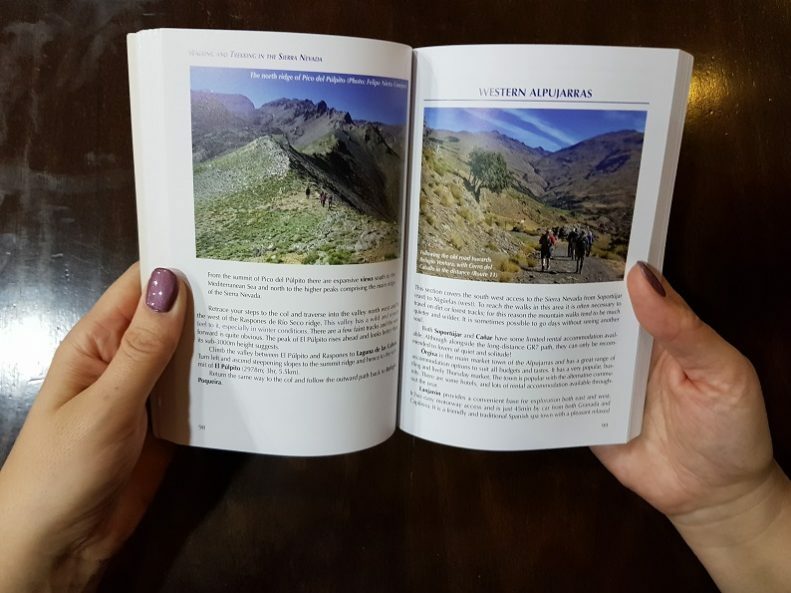 As an experienced mountaineer and guide Richard took time to write and document all the routes in the guidebook, With photos of the different hikes throughout the seasons. 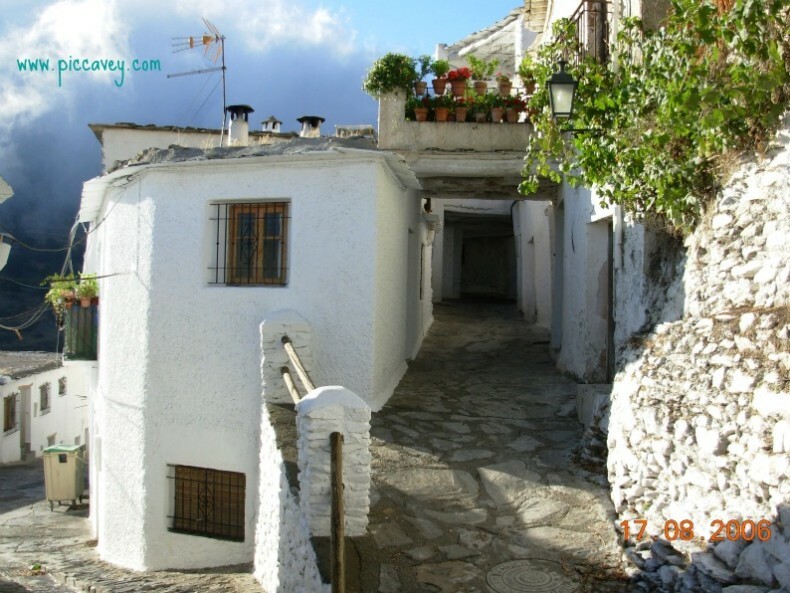 This is a useful manual for anyone wanting to explore this fabulous region South of Granada. As you may know the SIerra Nevada includes the Alpujarra Villages, the ski station and the Mulhacen mountain (highest on Iberian Peninsula) These contrasting landscapes create some very special walks. These guidebooks make wonderful presents for ramblers and mountain enthusiasts. Some routes through the Sierra Nevada are rarely taken by hikers. This detailed book includes walks and treks in the Sierra Nevada. 38 routes include the highest point of Spain, Mulhacén as well as Quaint villages such as Trevélez and Capileira. Lanjaron is a great location for accomodation and services. Find main ridge traverses, high mountain scrambles and an Andalusian Three Peaks challenge. An expert in guided walks, this has carefully researched and documented. Inside you´ll find tips on where to stop off along the routes and details on the nature. The guide has plenty of detailed maps and coloured photos. 24 different routes are covered in the 160 pages. For each route specific distances, average timings and practical information are clear. The summary panel at the beginning of each chapter shows the difficulty level and incline. 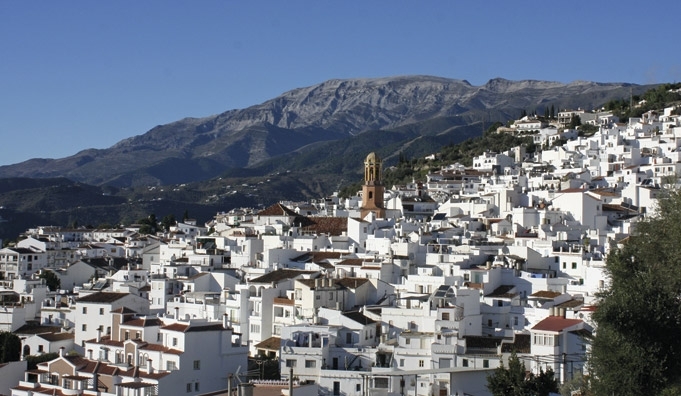 The Sierras de Alhama, Almijara and Tejada are also part of this guide. 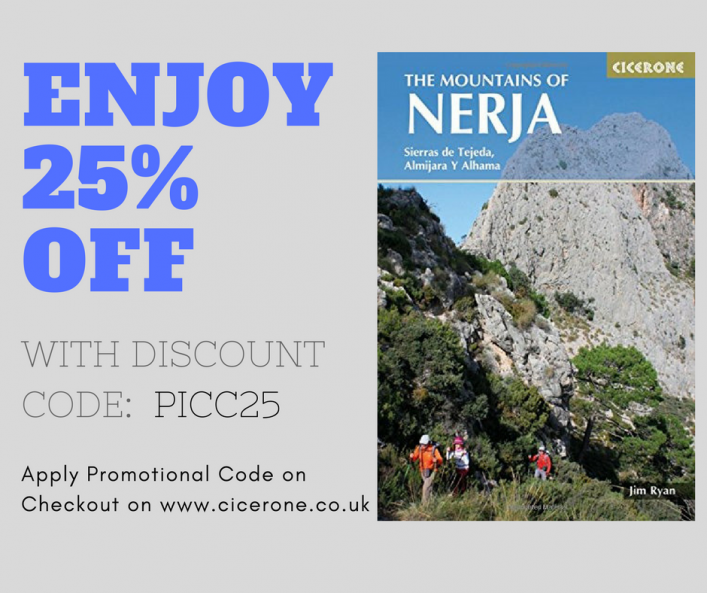 This well balanced handbook offers practical and interesting information about the Mountains of Nerja and the region. Extremadura is the region between Madrid and Portugal. 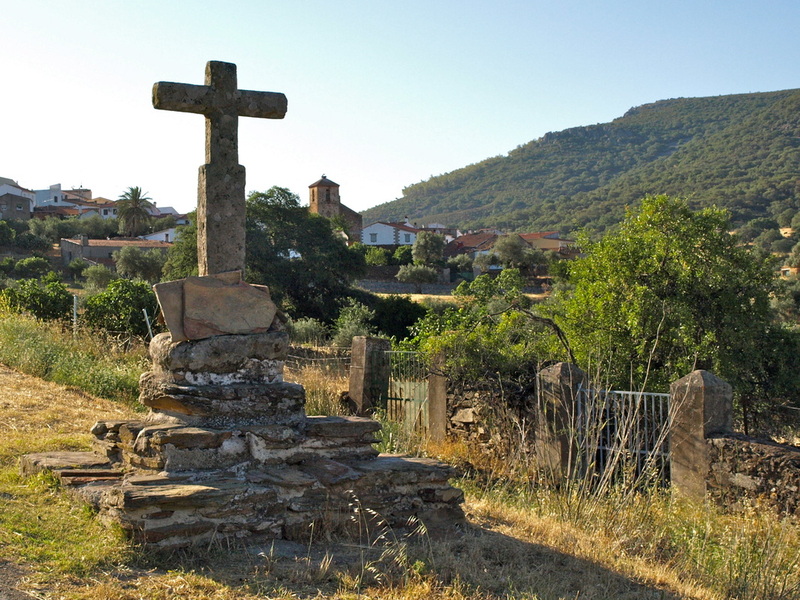 One of the most unspoilt in Spain with thousands of kilometres of ancient routes. Walk through Spanish Oak forests, sierras and the stunning Jerte Valley, famous for its cherry blossom. Montánchez, Guadalupe and Monesterio are amongst the 32 routes in this guidebook. This could make a great stocking filler or birthday gift for someone who loves hiking. Dont forget to enter this promotional code on the checkout online! Thanks for the info on these new guides. The Guide on the Sierra Nevada’s is of interest to me. Please keep us informed as new walking guides develop and cycling guides would be good. Cicerone Guides have an extensive range of books covering the whole world.